Piping at Beth and Richard's wedding! June 2009 at Melville Castle, Edinburgh! 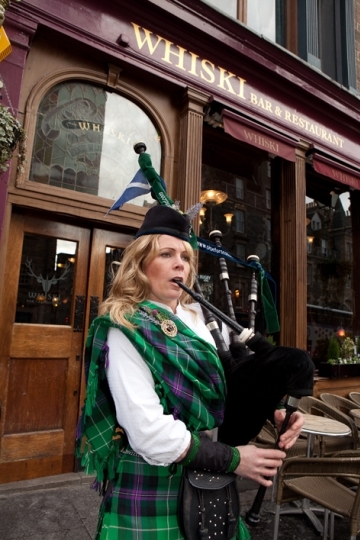 HIRE A PIPER for a special event! Performing 'Amazing Grace' for Pope Benedict XVI' during his state visit to Scotland, September 2010! 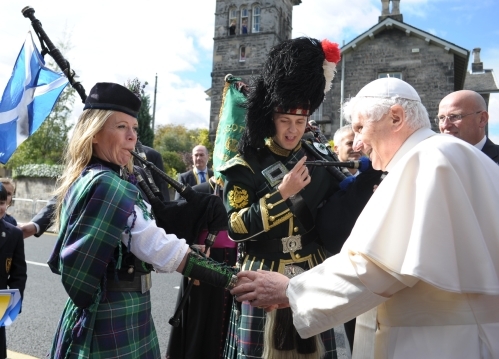 I was honoured to perform wearing the 'Papal Visit Tartan' especially designed for this special day! Here are some photos of events I have piped at recently. 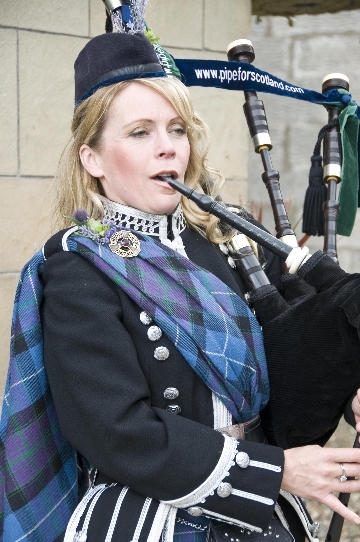 Hiring a piper not only makes an event special and memorable, but it also helps to promote piping and Scottish tradition. Let's pipe for Scotland! 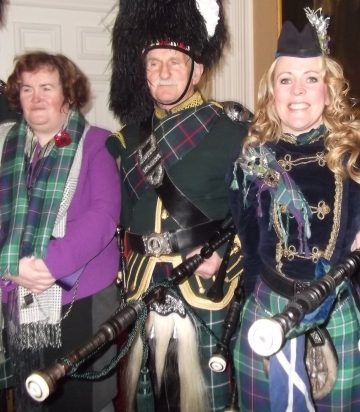 You can also log onto my older family website www.vippiper.com to see photos of me piping at previous weddings, funerals, parties, corporate events, Burns Suppers etc. . 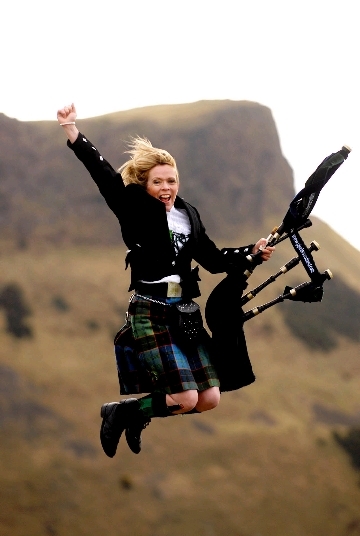 Here you will also find some nice photos of me, my dad and 2 brothers playing the pipes from an early age as well as my sister highland dancing! Dad was an inspiration to us all!!! 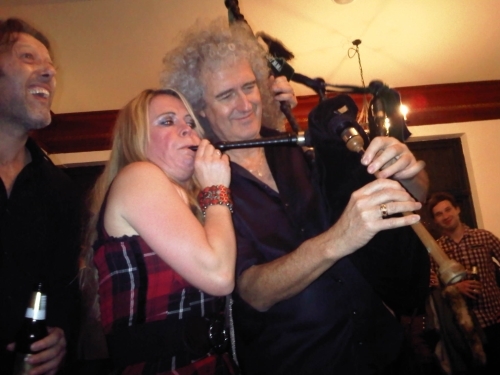 Giving legendary guitariist and songwriter with the rock band 'QUEEN' a bagpipe lesson at the gala launch of 'We will Rock you' at the Edinburgh Playhouse, December 2011! I was honoured to play a compilation of Queen songs on the bagpipes in front of Brian, the cast of 'We wiill Rock you' and a 3000 strong audience! 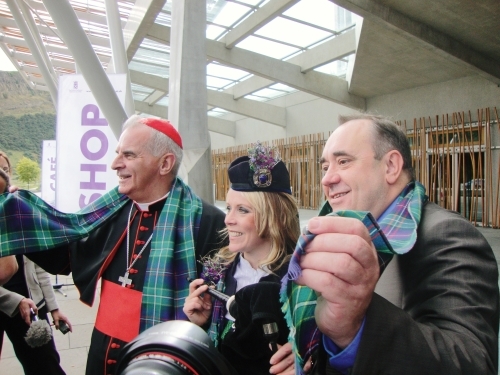 Pictured here with Cardinal Keith O'Brien and the First Minister of Scotland, The Right Honourable Alex Salmond. 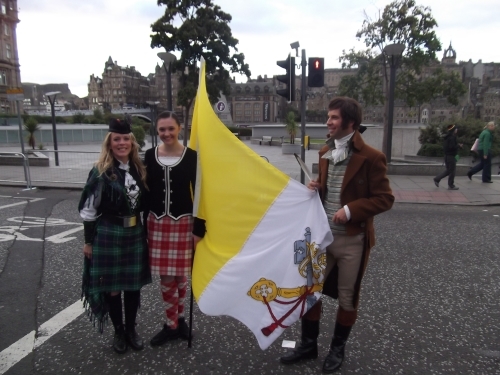 At the launch of the 'Papal Tartan' for the Pope's visit, September 2010, outside the Scottish Parliament! 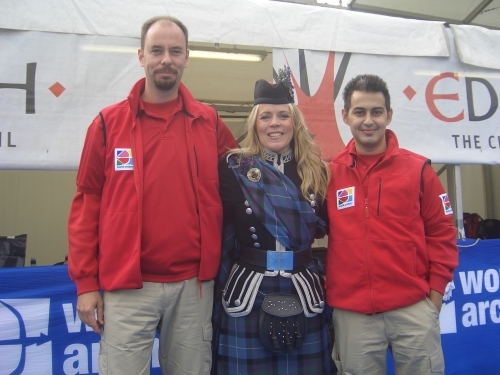 Pictured here with Scots presenter Grant Stott at the Edinburgh Moonwalk 2011! Before piping on stage as the 'Moulin Rouge Pink Piper'!!!! Top Soprano Lesley Garrett and I, after performing for Her Majesty The Queen, along with the Bournemouth Symphony Orchestra and conducted by Anthony Inglis! Honoured to perform at the Naming Ceremony of Cunard's new ocean liner 'Queen Elizabeth' in Southampton, 11 October 2010. Pictured here with musicians from the Bournemouth Symphony Orchestra and Chorus, during rehearsals prior to our performance in front of Her Majesty The Queen! 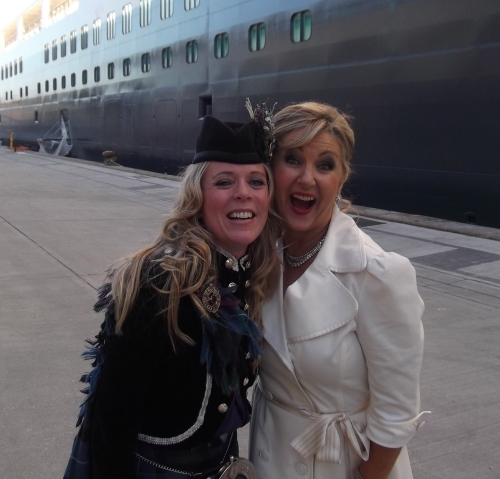 Very proud to play 'Amazing Grace' together with Soprano Lesley Garrett, at the naming ceremony of the 'Queen Elizabeth' Ocean liner, 11 October 2010! Pictured here with the very talented Scottish Singer/Songwriter/Musician Paolo Nutini! Piping at the Bishop's Conference, Edinburgh 2010. Pictured here with Mikey from 'Big Brother'! 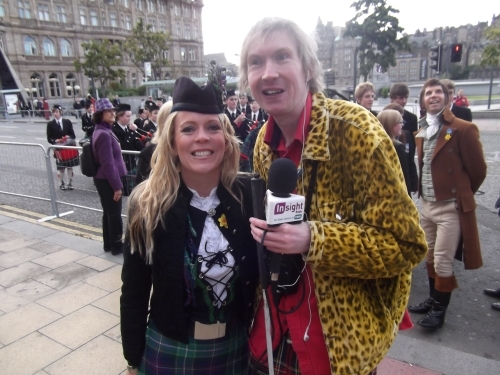 Whilst being interviewed at the St. Ninian Day Parade which was organised for the state visit of Pope Benedict XVI to Edinburgh, September 2010! 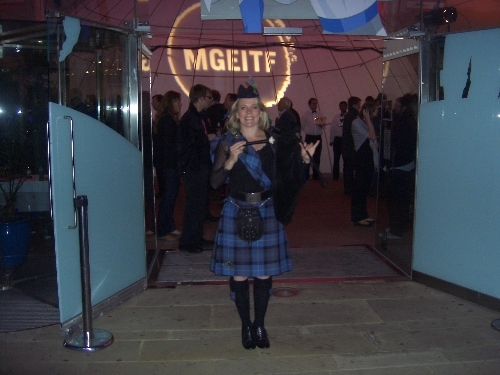 Dressed for the 1950's theme of the Opening Gala of the Edinburgh International Film Festival 2010! 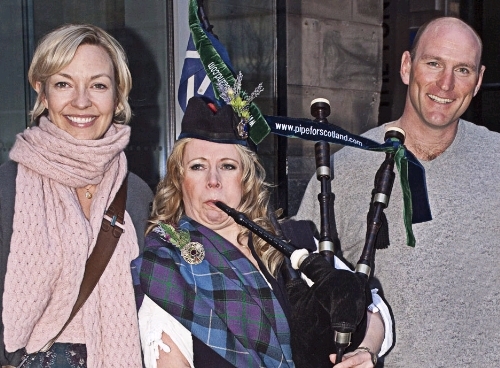 Piping for former England Rugby Captain, Lawrence Dallaglio, and his wife Alice, at PIzza Express, Edinburgh, March 2010! Piping at the Edinburgh Playhouse at the Launch of 'We will Rock You'! Pictured here with X Factor Singer/Songwriter, Gamu, December 2011! Piping at the launch of the Edinburgh Moonwalk 2011 outside Jenners Store on Princes Street, Edinburgh, 1 April 2011! Piping the burlesque girls into Jenners shop window to promote this year's 'Moulin Rouge' themed Moonwalk! Great fun for such a fantastic cause!!! 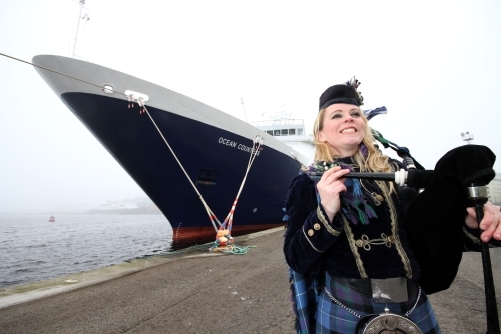 Piping at the launch of the Edinburgh Cruise Liner season!! 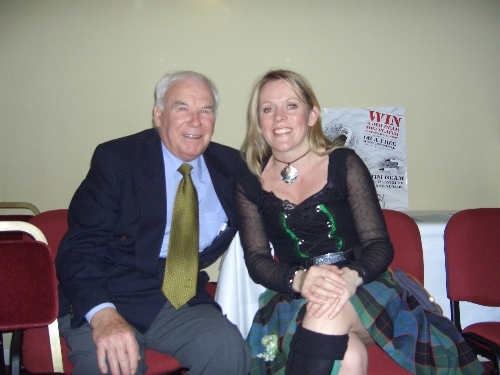 Pictured here with 'Robert Burns' and 2010 World Champion Highland Dancer, Anthea Bundy! 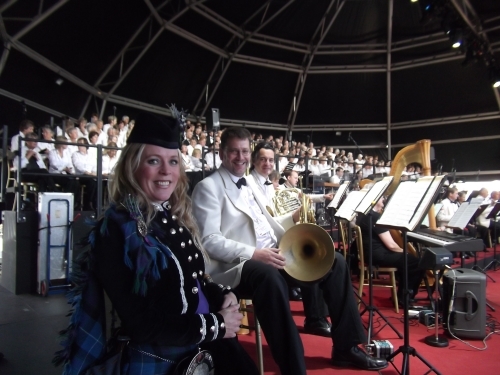 Performing together for the state visit of Pope Benedict XVI to Scotland, September 2010! 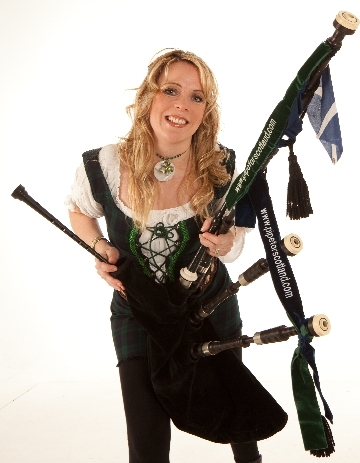 Photo shoot for Ceilidh Culture brochure 2010! 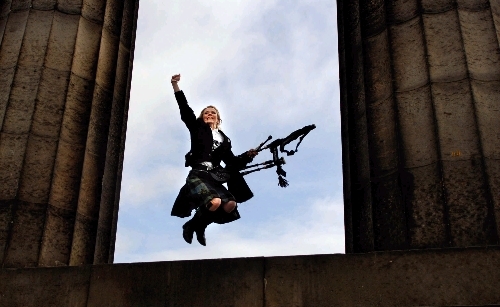 Edinburgh's festival - celebrating traditional arts through music, song, dance and storytelling! Piping at the Launch of 'Ceilidh Culture' Edinburgh 28 Feb 2008. 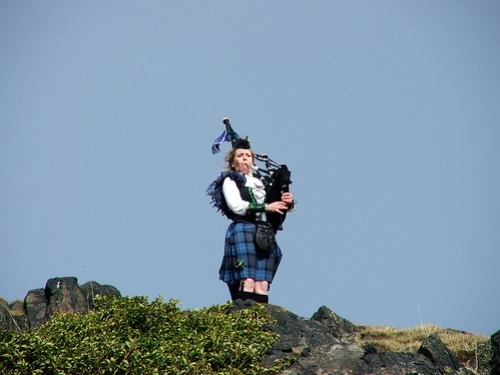 Performing as the lone Piper at the World Duathlon Championships, Edinburgh, September 2010! Pictured here alongside one of the Duathlon teams! 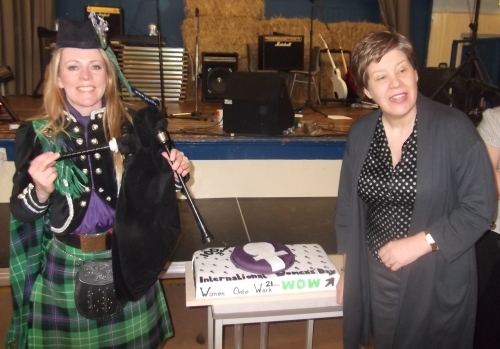 Celebrating the 100th Anniversary of 'International Women's Day, March 2011! Held at Duncan Place Resource Centre, Edinburgh, - pictured here with former Lord Provost of Edinburgh, Councillor Lesley Hinds!!! 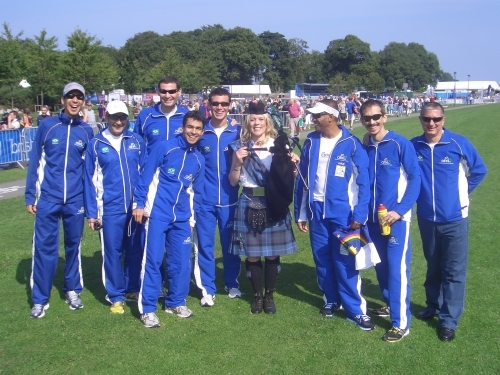 Performing together at the World Duathlon Championships, Edinburgh, September 2010! Meet the Pipeforscotland quartet, Stuart on Tenor, Tony on snare, Kerry the Highland Dancer and me performing for all the World Duathlon teams outside the Scottish Parliament!! Piping for Hibs and Scotland International Footballer, Scott Brown! After winning the cup at Hampden! 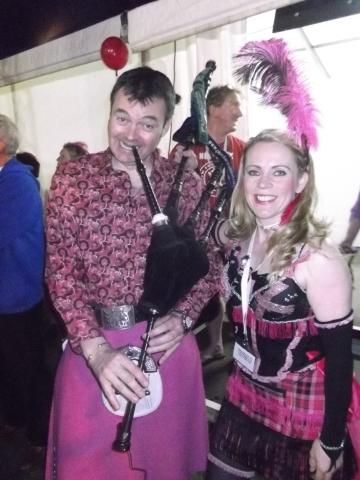 Piping at the Edinburgh Moonwalk 2010 in front of 12,000 bra-clad women and men! Raising money for breast cancer research in Scotland! Piping at the launch of Ceilidh Culture 2010 on Edinburgh's famous 'Royal Mile'. Pictured here with The City of Edinburgh's Culture Leader, Councillor Deidre Brock and the Manager of Edinburgh's Usher Hall, Karl Chapman. 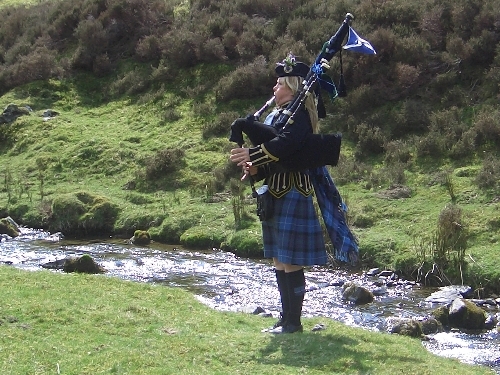 A beautiful day piping in Scotland's Highest Village! Teaching Scotland National Footballer, Scott Broon, how to play the pipes!! Upon his return from Hampden with the Cis Cup with his fellow Hibs squad!! Performing for the BBC at the 6 Nations Rugby Tournament! 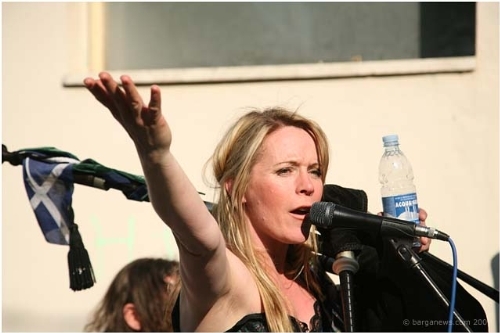 Performing at the Edinburgh International FILM Festival 2009 Homecoming Party! 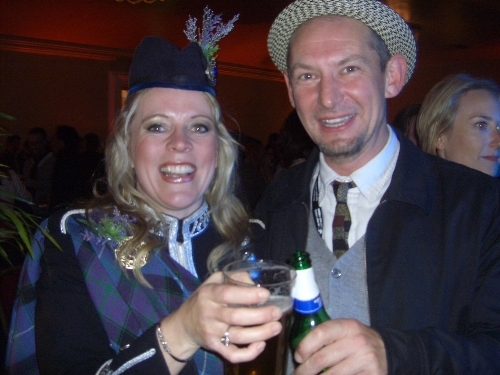 Pictured here with top British Actor Ian Hart, having a Homecoming 2009 refreshment (otherwise known as 'Professor Quirrell' from 'Harry Potter and the Sorceror's Stone'! 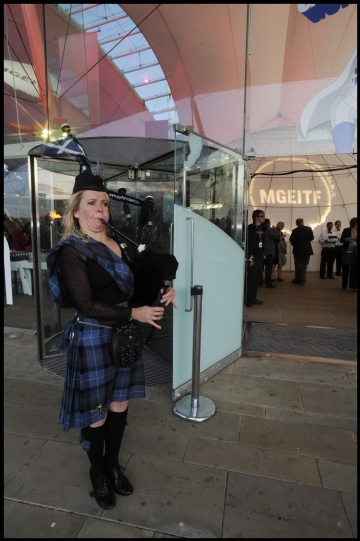 Performing for guests at the Media Guardian Edinburgh International TELEVISION Festival 2009! Held at Dynamic Earth, Edinburgh, August 2009! 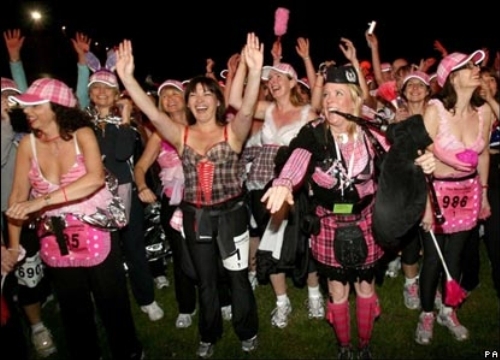 Piping at the Edinburgh Moonwalk, June 2008, on stage in front of 12,000 Bra-clad Power Walkers!!!! In aid of Breast Cancer research in Scotland. You may spot Michelle McManus (Pop Idol Winner) and Roy Gayle (Celebrity Personal Trainer) behind me clapping along to 'We Will Rock You'!! 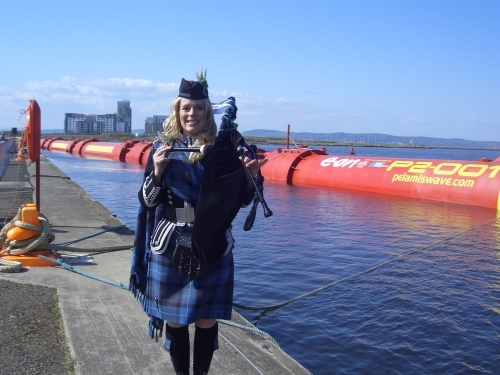 Piping at the launch of the Pelamis Wave Power Machine at Leith, May 2010! After performing for Scotland's First Minister, Alex Salmond, and guests! Piping at the Edinburgh Sevens Rugby Tournament at Murrayfield 2010! Aboot to be blown off Arthur's Seat, Edinburgh!! 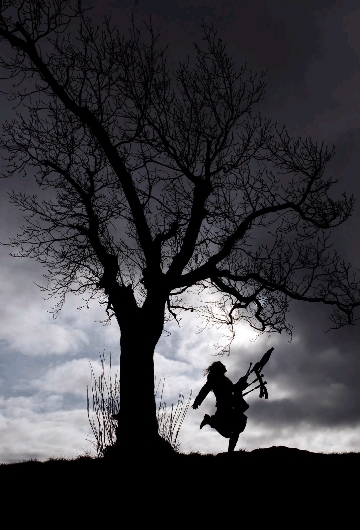 As the 'Lone Piper' at the World Cross Country Championships at Holyrood Park, 2008! 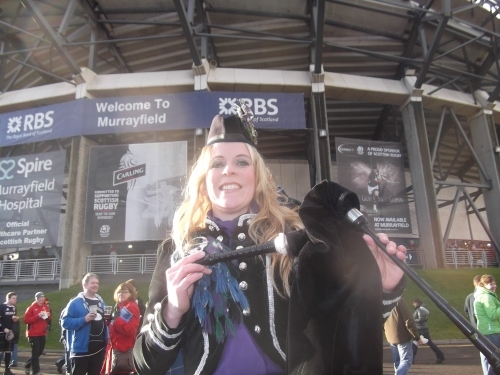 Piping at Murrayfield Stadium along with my 'Sunshine on Leith Pipes & Samba Band' for the International Rugby - Edinburgh Sevens, May 2008!! 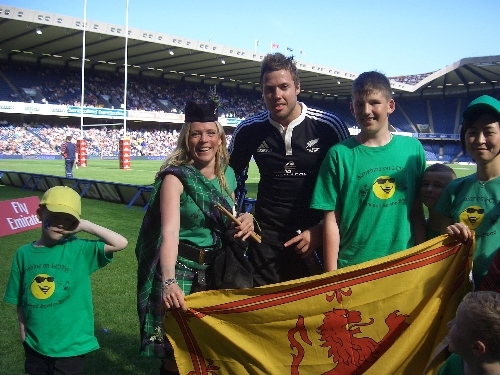 Pictured here with a rugby player from the winning team - the famous New Zealand 'All Blacks'! 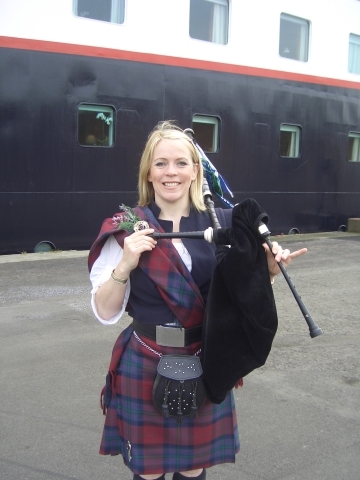 Piping for a cruiseliner arrival on the Firth of Forth! 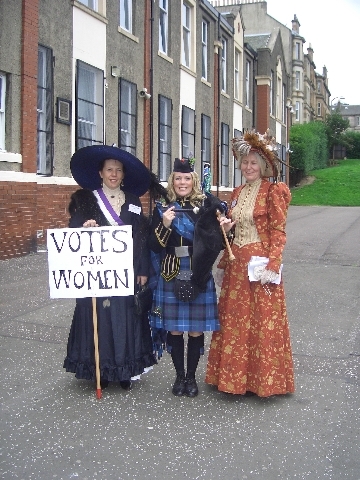 To welcome tourists to Scotland, April 2008. Heading off the Elite Race at the Edinburgh Nocturne Series on 30th May 2009. Comprising World Champion Cyclists David Miller, Cameron Meyer and Kristian House! 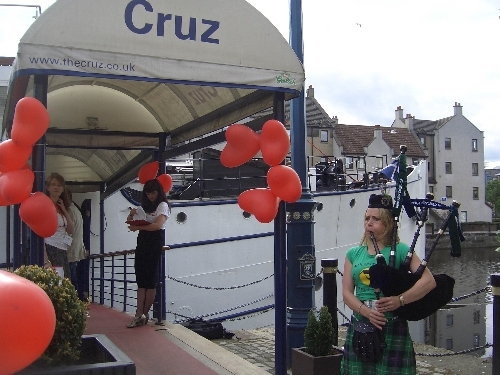 Piping for the arrival of a cruiseliner in Leith! Pictured here with Former Miss Scotland 2007, Nieve Jennings (on left) and top models! 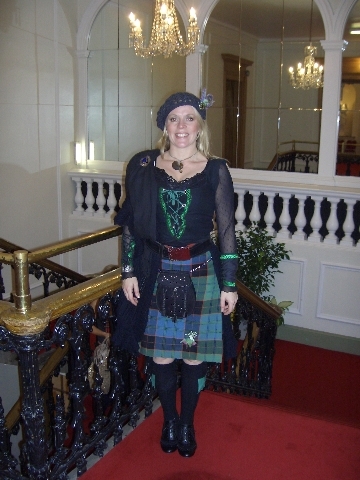 During a Fashion Show at the Fairmont Hotel, St. Andrews, November 2009! Playing at Fornaci di Barga, Tuscany Italy! 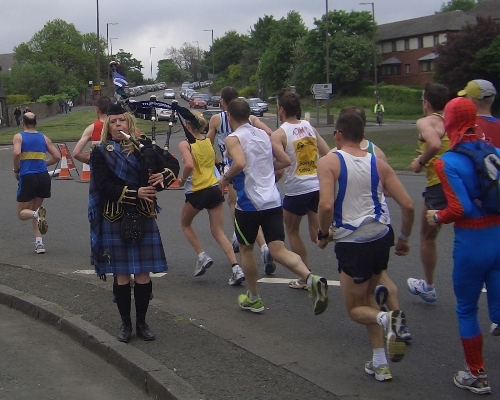 Piping at The Edinburgh Marathon 2009 too!! Well done to all the runners - it was a scorching hot day! Piping for all the athletes! 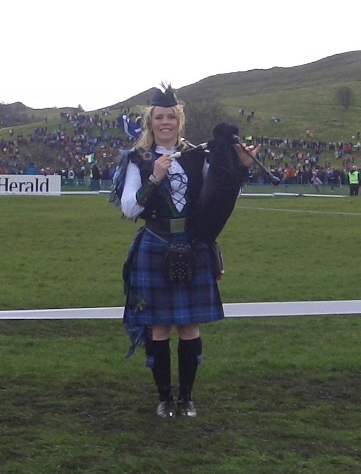 At the WORLD CROSS COUNTRY CHAMPIONSHIPS, Holyrood Park, Edinburgh, 30th March 2008! Senior women's race at the World Cross Country Championships! Piping at Murrayfield at the famous International Rugby Edinburgh Sevens, 29 May 2010! 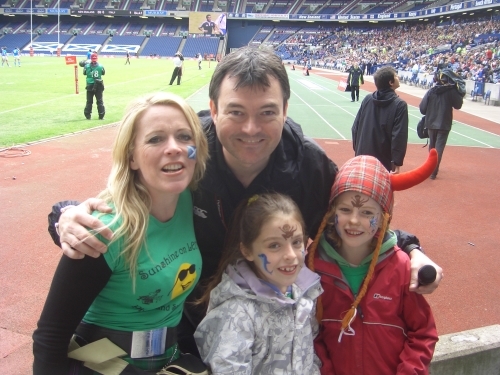 Pictured here with Presenter Grant Stott and our 2 little Scotland Mascots"!! 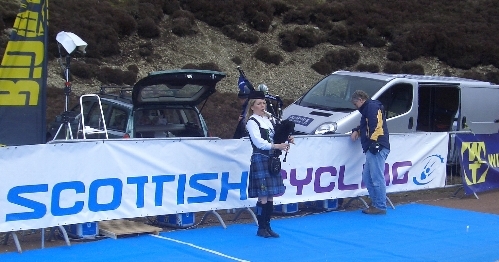 Piping for 'Scottish Cycling' (and Scotland's Olympic and Commonwealth Games cyclists) at the 2nd Round of the 'Super 6 Series', April 2008. 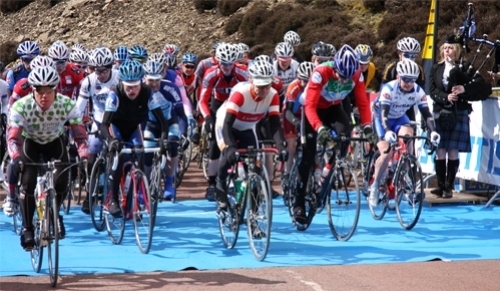 'The Tour of the Lowthers' - started off at Scotland's Highest Village, Wanlockhead, Dumfries & Galloway, and included elite athletes and the best riders in Scotland! Here we are setting off at the start of the race! Me and Billy McRobb - Grade 1 Drumming Instructor! 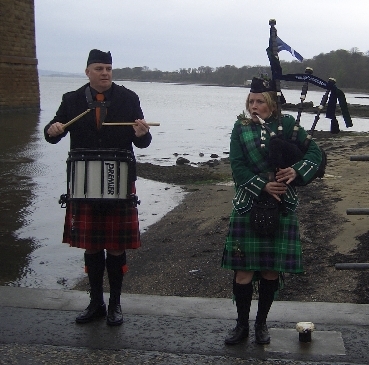 Playing at South Queensferry, on the Firth of Forth, April 2008. 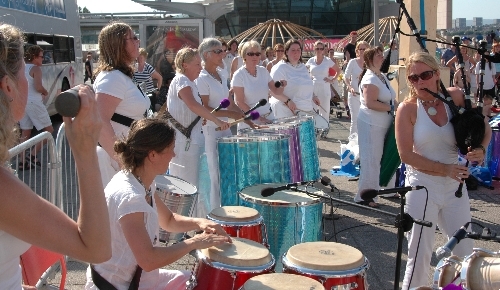 (Billy is our Snare Drumming Instructor with the 'Sunshine on Leith Pipes & Samba band' (for children).!! Piping for HIBERNIAN F.C. after winning the CIS CUP. March 2007! I piped them into Edinburgh City Chambers, onto their open-top bus and onto the pitch at Easter Road for their lap of honour!! (P.S. And at their After-party!!). 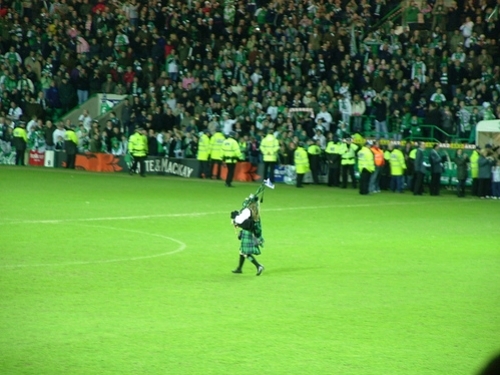 Piping the Hibs Football team into the Hibs Ground, Easter Road, Edinburgh. On their return from Hampden with the CIS Cup! Piping at the launch of Leith Festival 2009! Wearing my Sunshine on Leith T-shirt and Hibs Kilt! A fantastic night! 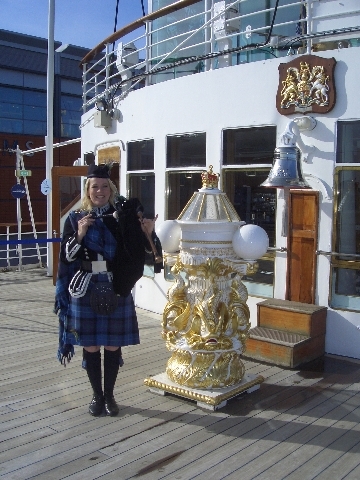 Piping at an engagement on the Royal Yacht Brittania! 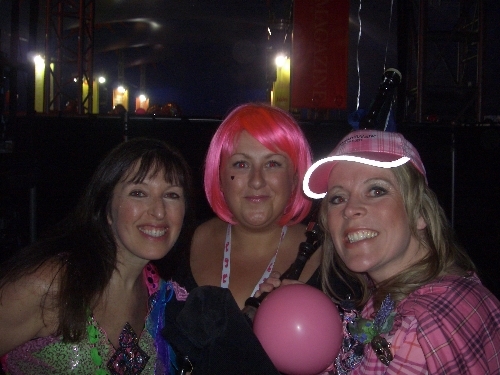 PIPING AT THE EDINBURGH MOONWALK, June 2007, alongside Lorraine Kelly and Michelle McManus!! I also completed a half marathon along with 10,000 bra clad women and men through Edinburgh to raise money for Breast Cancer Research in Scotland! 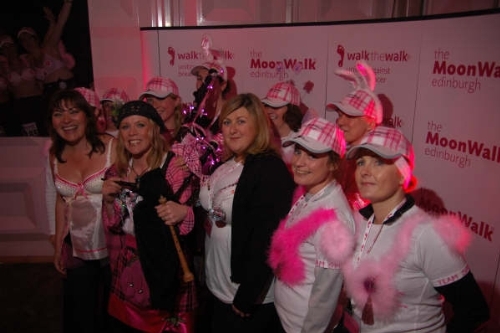 At the Start of the Moonwalk 2007, Edinburgh. Presenters Grant Stott and Lorraine Kelly having a hoot!! 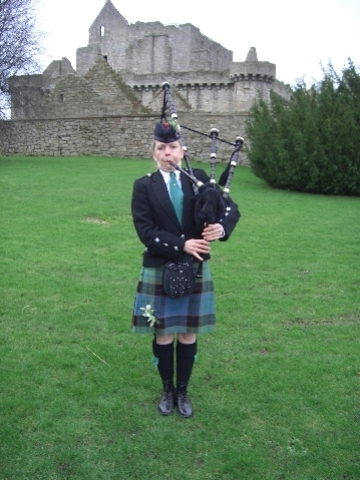 Piping at Craigmiller Castle, Edinburgh, January 2008!! 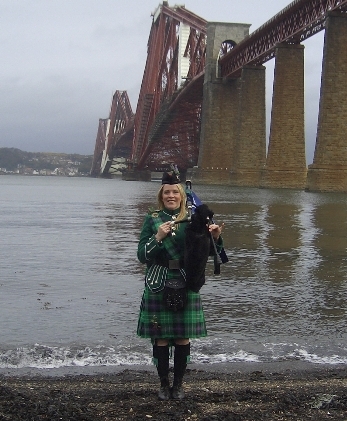 Piping as the lone piper at the World Archery Championships in Edinburgh, September 2010! Fantastic Family day in Edinburgh! PIPING FOR PRINCE EDWARD AT THE 50TH ANNIVERSAY OF THE DUKE OF EDINBURGH AWARDS! Held at the Assembly Rooms, Edinburgh, November 2006!! 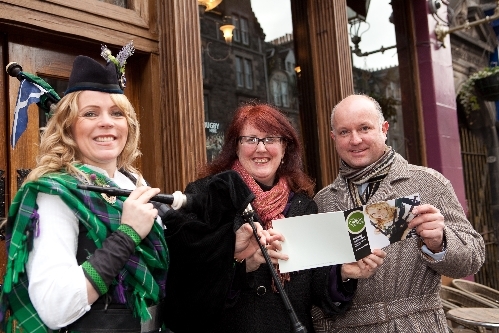 Piping at the launch of the EDINBURGH HOGMANAY PROGRAMME, December 2006!! 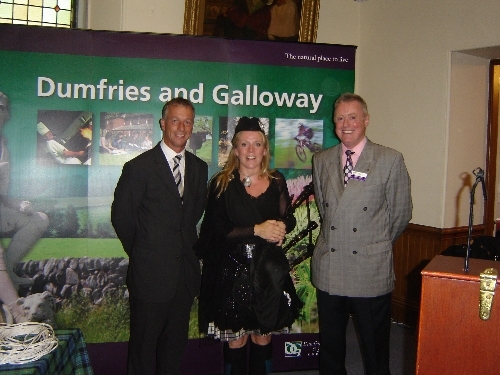 With a German model, Lord Provost Lesley Hinds and Pete Irvine, Director of Unique Events!! Piping Hibernian Football Team onto the pitch at Easter Road, Edinburgh!! After winning the CIS Cup, 2007! 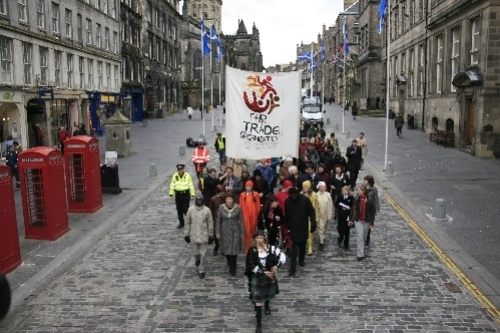 Performing at the unveiling of a statue in Edinburgh, July 2008. 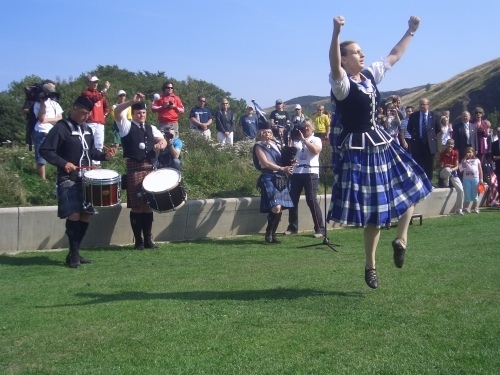 Organised by the San Diego / Edinburgh Twinning Committee! 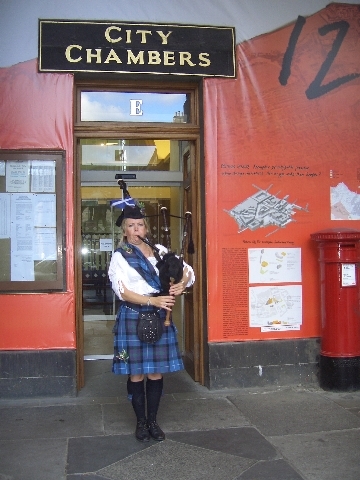 Piping at 'The Hub' on the famous Royal Mile, Edinburgh (along with Stan Reeves, founder of 'The Scots Music Group'. 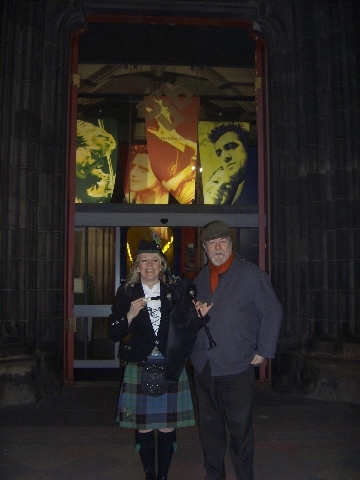 At the opening concert of Edinburgh's Music Festival, Ceilidh Culture, March 2008. 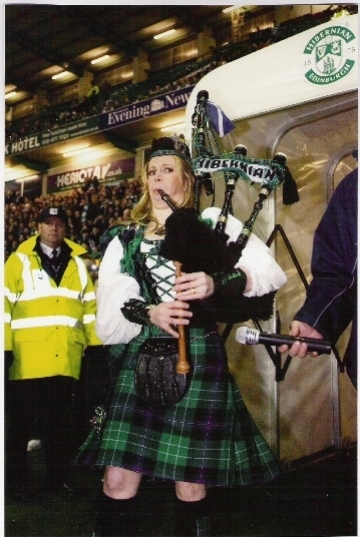 Piping alongside the CIS cup (again) with Zamama, Hibernian F.C., June 2007!! The children of St. Mary's had a ball!!!! 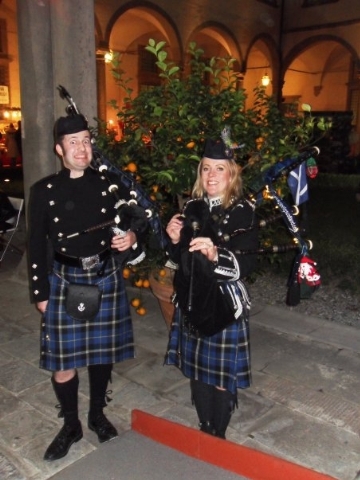 The Italian National Tartan was created and designed by Scots-Italian Michael Lemetti, Falkirk, Scotland!! In Fact, here is Michael Lemetti - first on the left! Creator of the Italian National Tartan! 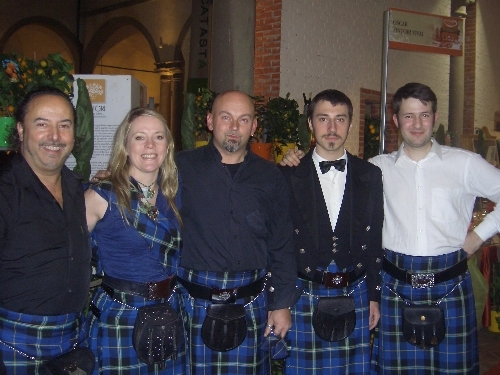 Alongside the Italian ceilidh band 'Ceilitaly' (founded by Nick MacVickar - far right) - all wearing Michael's famous tartan.!! 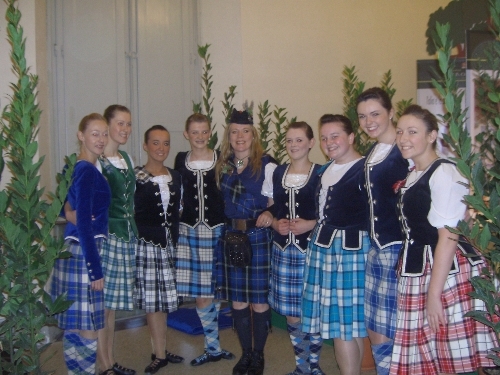 Pictured here with World and Scottish Champion Highland dancers in in Lucca, Tuscany! December 2009 - what a fantastic trip - the dancers were magnifiicent!! 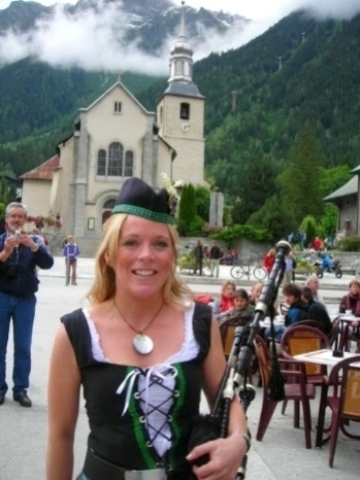 Piping in Chamonix France, July 2007!! Alongside the 98 HIGHLANDERS PIPES & DRUMS!! 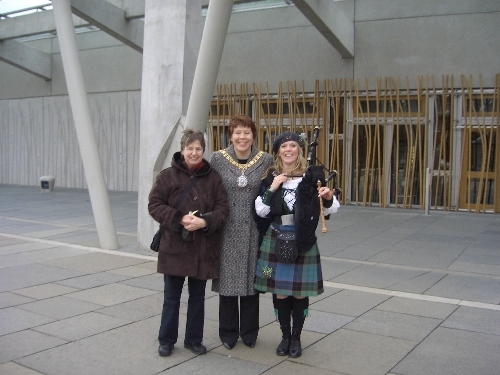 alongside, The Lord Provost of Edinburgh and Sarah Boyack MSP. At the start of the march from Edinburgh City Chambers to the Scottish Parliament. And there we are, doon the 'Royal Mile' on our way to the Scottish Parliament! Along with food producers from Malawi taking the Fairtrade flag on the Scottish leg of its Global Journey! 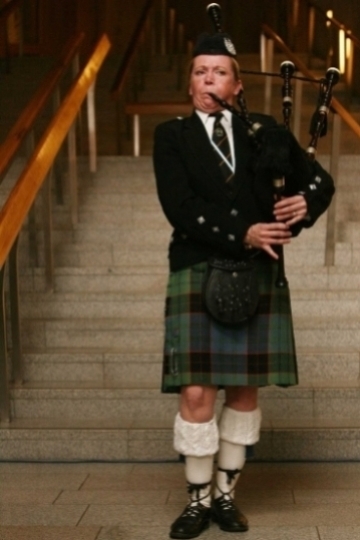 Piping at THE FAIRTRADE AWARDS, Scottish Parliament, Edinburgh, March 2007! 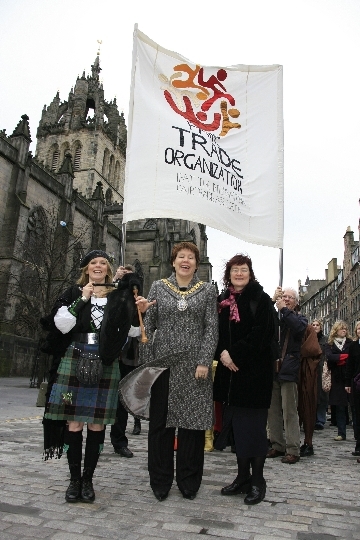 Alongside The Lord Provost of Edinburgh, Lesley Hinds, and Margaret Walker, retired Edinburgh Primary School Teacher. 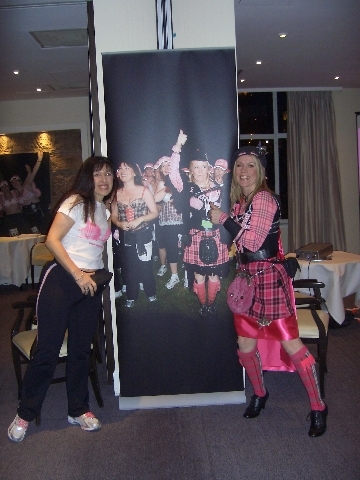 PIPING AT THE LAUNCH OF THE EDINBURGH MOONWALK, Februay 2007!! Alongside, Nina Barough CBE, the founder of Walkthewalk!! 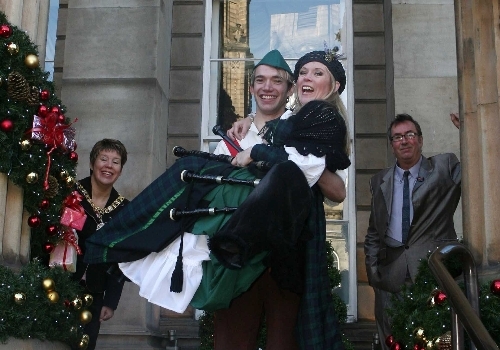 PIPING AT THE LORD PROVOST OF EDINBURGH'S CHRISTMAST PARTY DEC 2006!!! Along with 'Commotion Samba Band'!! PIPING FOR GRETNA F.C. June 2006! At Sporting Awards, alongside Rowan Alexander, Manager! Piping at the 'Edinburgh Moonwalk 2008'' in aid of Breast cancer. 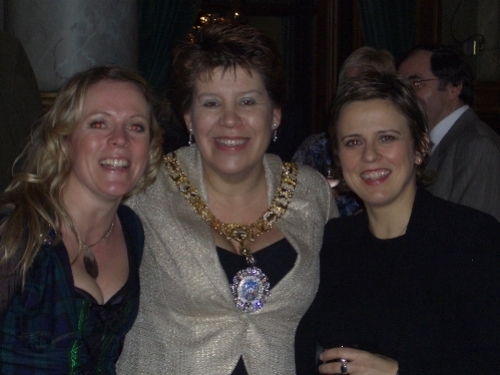 Pictured here with Michelle McManus ('Pop Idol' Winner) and Founder of 'Walkthewalk', Nina Barough CBE! Together, raising awareness of breast cancer! Playing at Abetone Ski Resort on Christmas Eve 2007!! 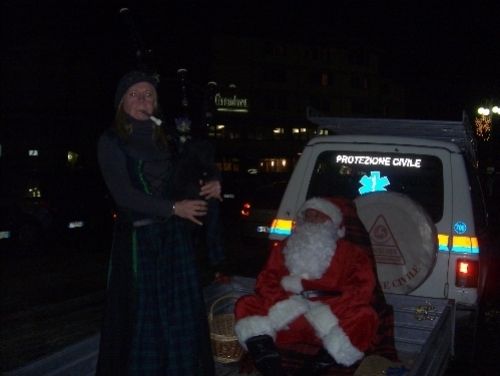 In Abetone, Tuscany, Italy, along with Santa from the Mountain Rescue team!! 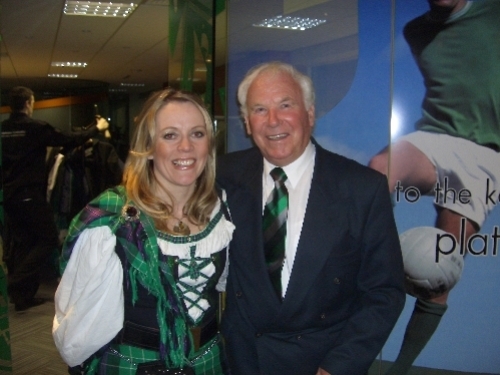 Pictured here with LAWRIE REILLY, one of the 'Famous Five' who played for Hibernian F.C. in the Fifties. Lawrie is joint third in the Scotland National Team's top ever goal scorers!!! Me & Lawrie Reilly again!! This time at his home ground - Hibs Football Stadium, Easter Road!! 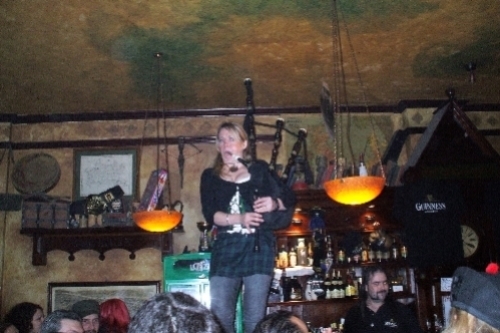 Piping at a St. Andrew's Night Celebration in an Irish Bar, Italy!! In Lucca, Tuscany, November 2007!! Alongside T.V. presenter Jackie Bird! 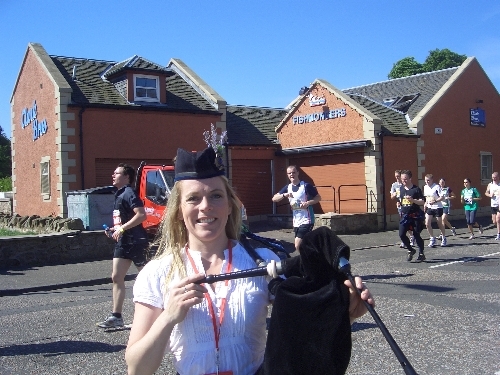 PIPING AT THE EDINBURGH MOONWALK, June 2006 too!! PIPING FOR HEARTS F.C., May 2006, when they won the SCOTTISH CUP 2006! As I come from Gretna, and Hearts played Gretna in the final, I made sure I was wearing my Gretna rosette! I was told to do that by the photographers!! 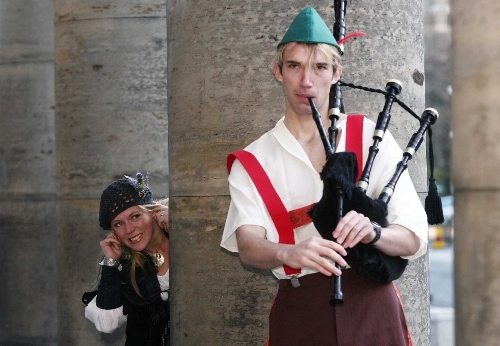 Launching the 'German themed' Edinburgh Hogmanay Programme 2006! Poor Soul - having to carry Me! 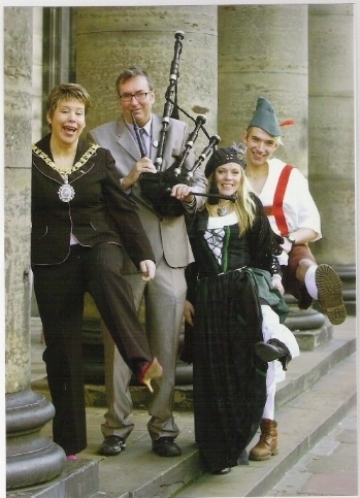 Festive Greetings from the Lord Provost of Edinburgh, Pete Irvine , Unique Events - organiser of Hogmanay Edinburgh 2006 - and of course me and my German friend!! 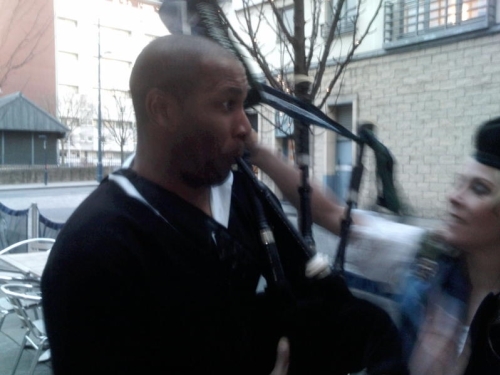 Teaching former England Striker Les Ferdinand how to play pipes! 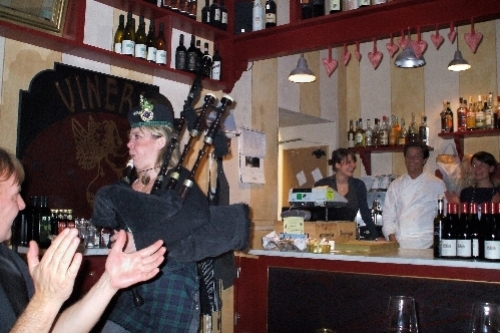 Piping at a restaurant in Lucca, Italy, during a Food Festival, November 2007l! I decided to march into the kitchen to see what the Italian chefs were cooking up!!!! Piping at the launch of Ceilidh Culture 2010! On Edinburgh's famous Royal Mile!! 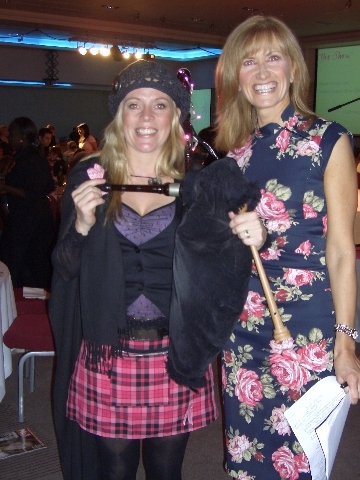 PIPING AT THE FAIRTRADE AWARDS, February 2006! Held at the SCOTTISH PARLIAMENT! Playing at the Media Guardian Edinburgh Television Festival, 2009! Held at Dynamic Earth, Edinburgh. From Lou the Witch! 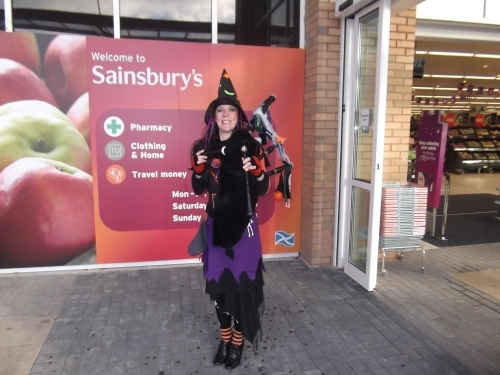 Piping at the opening of a new Sainsbury's Superstore in Edinburgh! 27 October 2010!